Welcome to Quality Physical Therapy's patient resource about hand problems. Can you imagine not being able to use your hands? Can you imagine suffering an injury that leaves you with a decreased ability to take care of yourself and perform everyday tasks? This is the position you will be left in if you don't take care of your hands. When you injure one or both of your hands, you not only will be left out of your favorite sport, you will be left out of life. No one wants to depend on others for help in completing simple tasks like cooking food, driving a car, or opening a door. 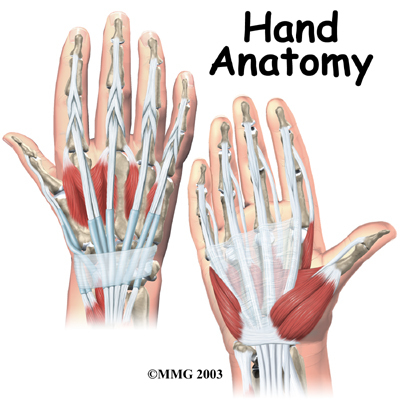 Therefore, this area of our site is designed to help you learn about and prevent a hand injury. Whether you are an active athlete or like to sit on the sidelines, we want to make sure you stay safe and healthy and keep your hands protected from debilitating injuries that will bench the fun in your life.